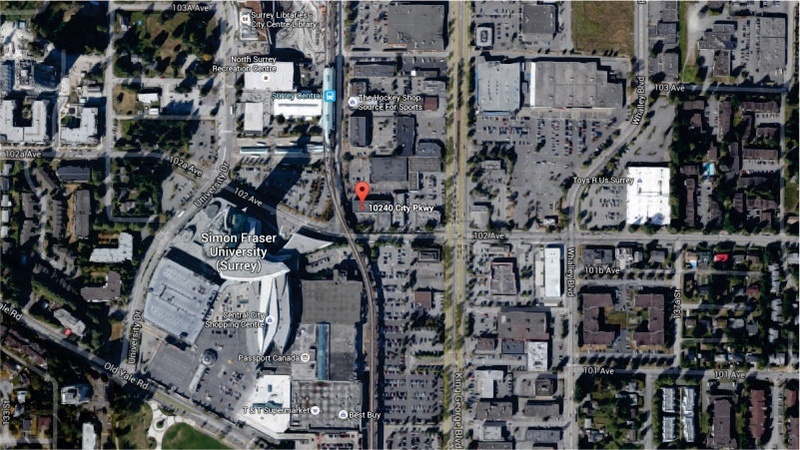 A proposed 50-storey-tall education hub geared mainly for international students in Surrey City Centre could be a major catalyst for the revitalization and further economic development of the immediate downtown area. It would be located on a site across from Central City Shopping Centre, Simon Fraser University’s Surrey campus, and the future Kwantlen Polytechnic University campus at 3 Civic Plaza. CIBT Education Group and local real estate developer WestStone Group announced their joint partnership today to build the ‘GEC Education Mega Center’ on the former site of the Stardust Roller Rink on 102 Avenue. The building will have a floor area of 550,000 square feet, matching the size of the office tower at Central City, and cost $230 million to construct. Proposed site of the Education Mega Center. According to a release, the first two levels of the so-called Mega Center will consist of supporting student amenities such as a food court, student lounge, computer centre, electronic library, conference rooms, and office space for education consultants and other industry-related services. As intended, the building is mainly designed for students studying in Metro Vancouver from abroad: Floors three to six will be leased to educational institutions from around the world; floors eight to 26 will be purposed for residential suites; floors seven to 27 will be utilized for amenity spaces such as a fitness centre, lounges for long-term residents and student hotel guests; and floors 28 to 49 will be a Global Education City Holdings’ (GEC) flagship student hotel for short-term stays. The front desk and check-in area for the student hotel will be located on the top level – floor 50. Artistic rendering of the proposed Education Mega Center. “International student enrolment across British Columbia has been growing at an astonishing rate of approximately 25% since 2014 generating over $5 billion in gross income for the province,” Toby Chu, President, CEO, and Chairman of CIBT Education Group, said in a statement. Based in Vancouver, CIBT operates in 11 other countries, including in China, Philippines, Vietnam, and sees an enrolment of over 8,000 students every year at 27 locations. Its education businesses include Sprott Shaw College, Ascenda School of Management, CIBT School of Business China, and Global Education Alliance Recruitment Centers in China and other overseas countries. 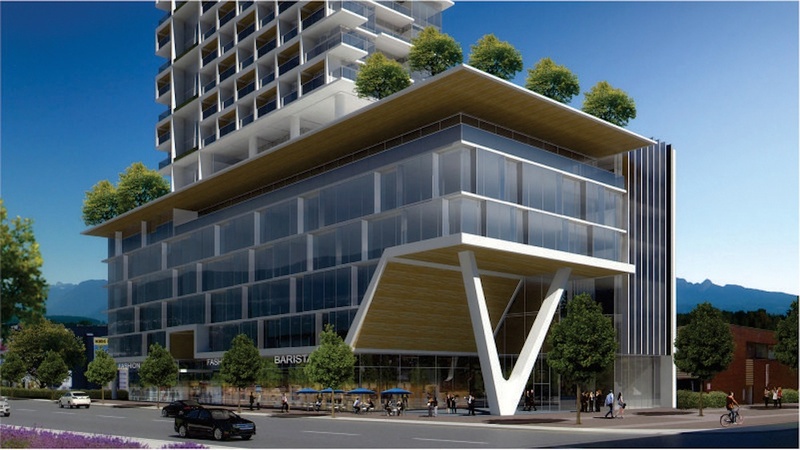 This proposed project is also near SkyTrain stations and public amenities and facilities such as the new Civic Library and the City Hall, some of the newest institutional facilities built in the downtown core. Surrey City Centre’s population is currently about 34,000, and it is estimated that it will more than double to 70,000 by 2041. As well, the number of people working in the downtown area will grow from 25,255 today to 36,000 by 2031. 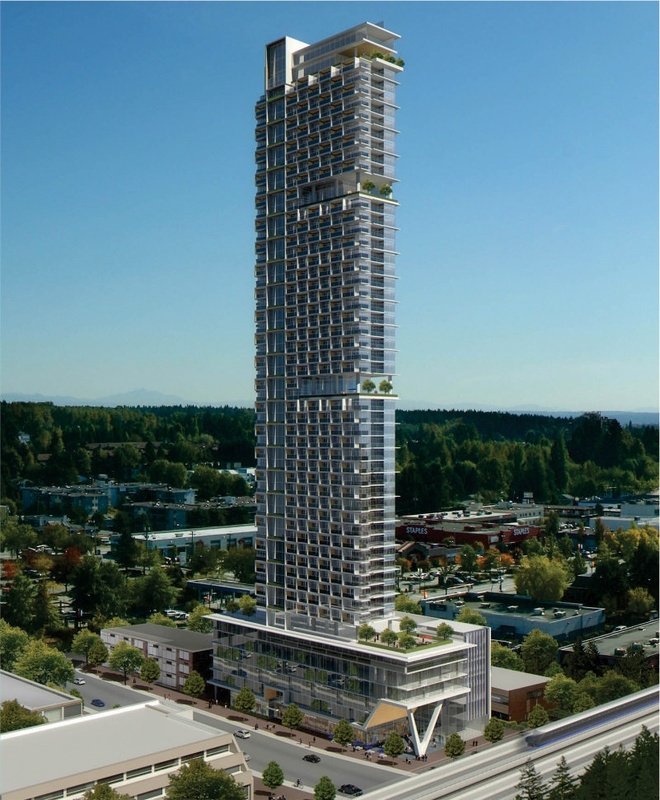 Surrey’s current largest development, the 52-storey-tall 3 Civic Centre, is now under construction. When complete in 2017, it will be the municipality’s tallest tower and consist of a 144-room boutique hotel operated by Marriott Autograph Collection and 349 condominium units.